Whether you are looking for a way to protect your home or your business, you probably already know that installing a security system is one of the most effective ways of doing it. However, many people get confused when it comes to purchasing and installing a security system, especially if it is the first time that they have ever purchased one of these systems. If you are finding yourself a bit confused about what type of security system to purchase for your home or business, you should consider purchasing a DVR security system. Although there are other systems out there that have their benefits, DVR security systems are highly common and incredibly effective when it comes to securing your home or business. By doing a bit of research about digital video recorders and how they work for security purposes, you can have the knowledge that you need in order to purchase, install and utilize one of these valuable systems. If you have a DVR system at home that you use for television watching purposes, you might wonder why you hear DVR systems being mentioned so frequently when it comes to home or business-related security. However, a digital video recorder that is used for security-related purposes is very similar to the digital video recorder that you use in order to record and watch your favorite television shows and movies. However, a digital video recorder that is used for home or business security records surveillance footage from your security cameras instead of shows and movies that typically come on cable or satellite television. Similar to home television-related digital video recorder, a DVR that is used for security-related purposes is typically a standalone box. Some of these boxes are larger than others, but you can typically find a relatively small and compact digital video recorder for these purposes. This box hooks up to a monitor, such as a computer monitor, in order to allow you to watch your surveillance footage. Once a digital video recorder is hooked up to your security cameras, either through wires or wireless means, it works to record the footage that is captured by your security cameras. It then saves your footage on either an included hard drive or on an external device. Many of these digital video recorders will store your surveillance footage for several months at a time, allowing you to go back and watch old footage if you feel the need to in the future. Not only does a digital video recorder record and store your surveillance footage, but it makes watching it on your monitor easy. Instead of having to watch hours upon hours of surveillance footage, you can easily fast forward and rewind until you get to the footage that you would like to watch. Just as when you are watching regular television, you can pause your footage when you need to, which can be very handy if you find something that you want to investigate a bit more closely. Digital video recorders are typically relatively easy to use, and you can probably operate a security-related DVR with no trouble if you are accustomed to using a digital video recorder when watching movies and television shows. How are DVR Systems Used for Home and Business Security Purposes? There are several reasons why people use DVR security systems for home and business security-related purposes. First of all, digital video recorders are highly reliable when it comes to home or business security, and they are relatively affordable and easy to purchase and install. Home owners typically like having digital video recorders and security systems in order to monitor the outside of their properties. Crimes occur in even the safest of neighborhoods, and you should consider the safety of yourself and your family. If you want to protect the people who are close to you as well as your home and your belongings, you should consider purchasing one of these systems for security-related purposes. Things could be occurring on your property that you do not know about, and a robbery could occur at any moment. Although having a digital video recorder and surveillance cameras in place cannot necessarily prevent crime, it can deter it and make your home much less appealing to would-be thieves and other criminals. It can also help you to have the evidence that you need in order to seek justice for a crime that may be committed on your property. Although home owners certainly have to worry about home security, business owners should especially take security seriously and should consider installing DVR security systems in their commercial buildings. Not only do business owners have to worry about people breaking into their businesses after hours, but they also have to worry about theft from customers and employees. By having security cameras in place and a strong digital video recorder system that will record and store video surveillance footage, business owners can cut down on crime, can catch those who have committed crimes and can provide the local authorities with strong evidence. Security systems are not just for outdoor use, either. Not only do business owners often install cameras indoors in order to watch out for employee theft, shoplifting and other crimes, but more and more home owners are now installing cameras inside their homes as well. These cameras help to give parents peace of mind when they leave their children in the care of babysitters and nannies, and they also provide evidence in the event that other crimes occur. If you are concerned that things could be occurring inside your home, such as problems with your babysitter or theft by a cleaning professional, you should also consider installing security cameras inside your home. What Else is Needed for a DVR System? Although the DVR system might be considered the main investment when you are searching for a home or business-related security system, you will need other components as well in order to effectively capture, store and watch your surveillance footage. First and possibly most importantly, you will need a set of security cameras. There are a lot of different security cameras out there for you to choose from, and there are cameras that can fit nearly any budget. It is important to look at the cameras that you are purchasing, however, before making a final decision. You will have to choose between cameras for indoor use or outdoor use, and you will also need to determine if your camera needs night vision. By doing a bit of research and looking at all of your options, you should have no problem purchasing the right security cameras for the job. When you are choosing your security cameras, you will want to make sure that you purchase enough of them so that your home or business will be truly secure. One mistake that a lot of people make is purchasing too few security cameras in order to save money, but experienced thieves can typically determine what areas are outside of a camera’s viewing range. Therefore, you want to purchase enough of these cameras to see important areas of your home or business; since you are already purchasing all of the other components of your security system, you don’t want to skip on a few cameras in order to save a few dollars, especially when it can seriously affect the effectiveness of your new security system. Another important component of your DVR security system is a monitor. Your monitor will simply plug up to your DVR security system, and it will enable you to watch your surveillance footage. Most people use computer monitors for this purpose, and you don’t have to purchase the most expensive monitor out there in order to be able to effectively monitor your surveillance system. However, you will want to make sure to purchase a monitor with a large and clear enough screen that you can see your surveillance footage well. Since even a small detail in your footage can make the difference between catching a criminal and not catching him or her, you want to make sure that you can see even the smallest of details with your monitor. Lastly, you will want to look for small details that can help to make your DVR security system more effective. Lighting is key in many cases. For instance, a camera that does not have night vision will not be able to capture surveillance footage in dark conditions, but you can help to achieve clearer footage if you have a light installed near your camera. You should also consider installing plenty of lights around your property, whether you are trying to secure your home or your business. Lights are cheap and easy to install, and they can make a world of difference when it comes to security. Not only will they help your surveillance cameras to catch better footage, but light in itself is often enough to deter a criminal from committing a crime on your property. You should also consider adding a burglar alarm to your home or business in order to enhance your security. Although security cameras are highly effective at deterring crime and capturing evidence in the event that something happens, they will not notify you when someone tries to break in if you are not watching your footage at the time. A burglar alarm that is monitored by a good security company will both let out a loud alarm that will scare the burglar and will notify the local authorities that someone has tried to break into your home or business. This can help to scare away the burglar or other criminal, and it can help the authorities to catch the person who attempted to break into your home or business. When authorities act quickly and are able to use your surveillance footage in order to catch a suspect, you are far more likely to have your items recovered, and local authorities and prosecutors will have a far better chance at convicting the criminal of his or her crimes in court. What are the Alternatives to a DVR System? Digital video recorders are perhaps the most popular types of surveillance systems because they are relatively inexpensive, easy to install and are highly reliable for those who want good surveillance footage for their homes or businesses. However, they are not the only option out there. For instance, many people are now turning to Internet-based security systems. These security systems allow home and business owners to monitor surveillance footage from their computers instead of with a DVR system and monitor. Some people also purchase cheap units that involve a monitor and a camera, but some of these systems do not actually record. Although they can work well for baby monitoring and other similar purposes, systems that do not record typically are not the best option for security-related reasons because they do not store the footage that is taken by the camera; instead, they simply allow you to watch live footage as it is taken. When are DVR Systems the Best Choice for Home or Business Security? Those who are looking for a stable and reliable security option should consider digital video recorders. There are plenty of options out there, so those who require certain features or who are on a strict budget can typically find a good working system that is perfect for their needs. They are incredibly common for business-related security purposes, but plenty of home owners rely on them as well. When are DVR Systems Not the Best Choice for Home or Business Security? Although digital video recorders are often the best choice, some people prefer Internet-based surveillance. Those who travel a lot, for instance, feel more comfortable when they can watch surveillance footage from their home or business when they are away. 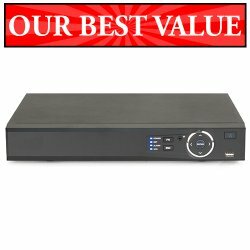 Those who already have an extra computer lying around and who don’t want to purchase a standalone digital video recorder also sometimes prefer Internet-based security systems.